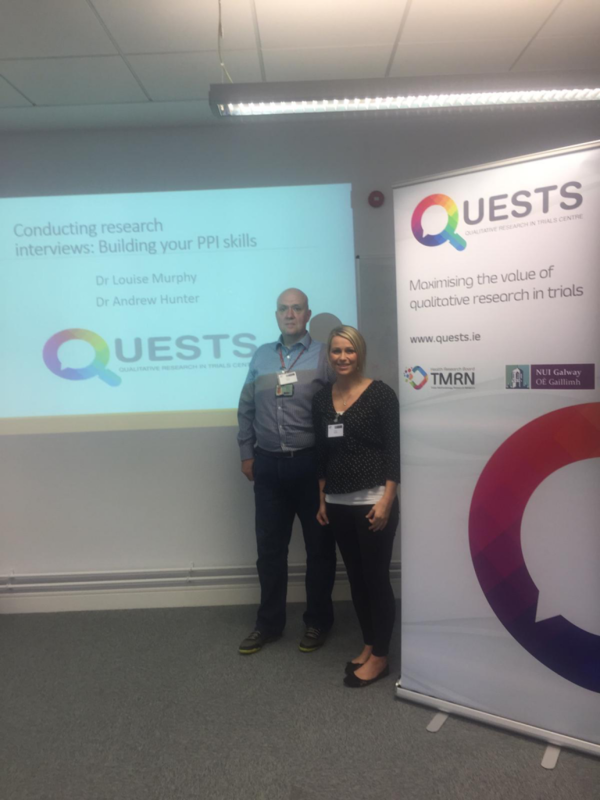 Dr Andrew Hunter (QUESTS Co-Chair) and Dr Louise Murphy (QUESTS Training and Communication Working Group Lead) facilitated a workshop on “Conducting research interviews: Building your PPI skills” at the recent EMPOWER (Enhancing Meaningful Involvement Opportunities in Research) workshops at NUI Galway. Research data is often collected through interviews, usually conducted by researchers. Sometimes, people from the population about whom the research is being conducted can become interviewers – this is called peer interviewing. 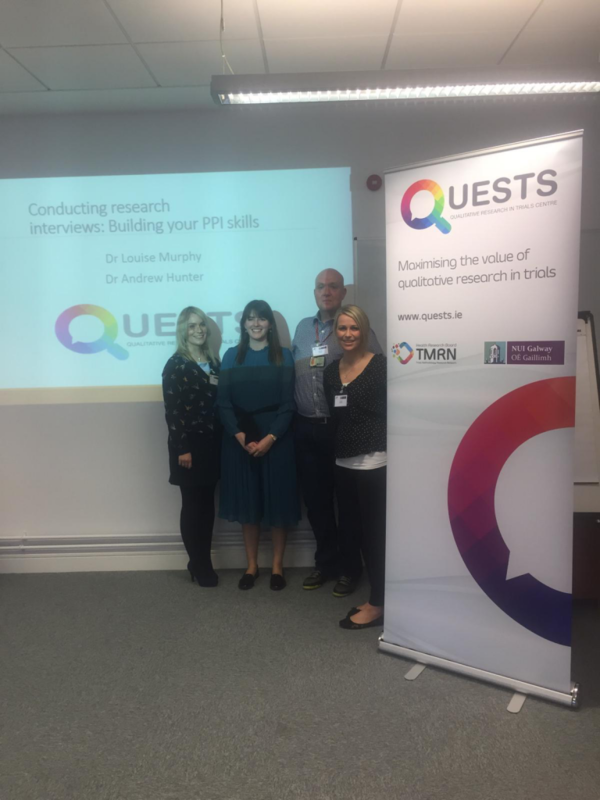 This workshop provided training to the public on how to become peer interviewers and an opportunity to try out some of the skills learned, including data analysis. 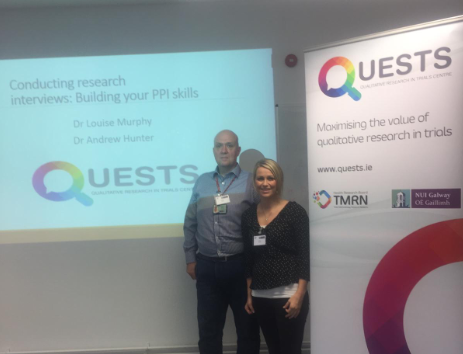 NUI Galway hosted this information and education day, for the public, including members of community groups and of patient organisations, who were interested in finding out more about how to work with researchers to guide and influence research, known as Public and Patient Involvement (PPI). 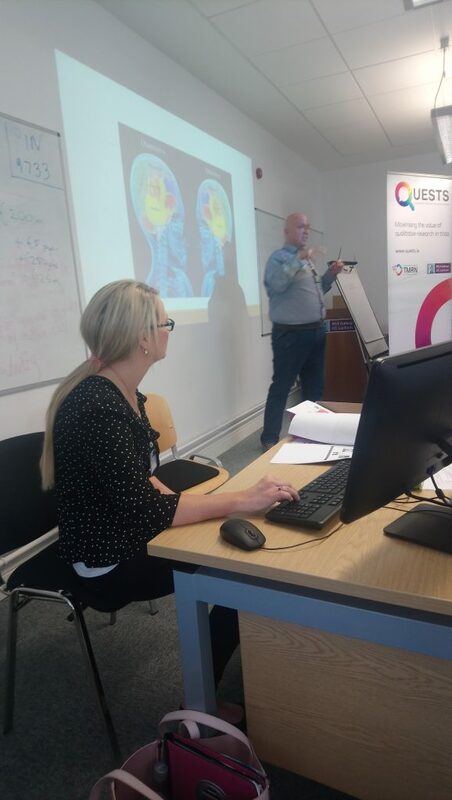 A series of workshops explored how research works and how the people likely to benefit from new treatments can be directly involved in and can shape decisions made to produce them. The event was funded by the Health Research Board.